If you’ve been by the Mohawk Theater lately, you’ve probably noticed some signs of activity. The “for sale” signs have come down, the doors have been painted red, and there’s a dumpster bag full of construction debris in the alley. I hate burying the lede, so before you get your hopes up: The theater is up for sale again. maybe up for sale or maybe it isn’t. Not for sale anymore. If you’re just catching up, the theater was seized by Ramsey County for back taxes back in 2013. The property failed to sell at auction last spring for $340,000, and again failed to sell at a September auction for $225,200. However, according to a source at the county, the building was purchased by an entity called Beeldaaje First Properties LLC a week after the auction (tax-forfeit properties that don’t sell at auction remain available at the low-bid price, so we’re assuming it was purchased for $225,200). Beeldaaje First is owned by a guy in Eagan, I was able to track down an email address and have attempted to contact him, but haven’t heard anything back yet. The clerk at Ramsey County is pretty sure he’s planning to resell (a very safe guess considering there’s an active real estate listing). but now he appears to have changed his mind. So, Smith Avenue’s most prominent architectural landmark can be yours for $299,900. The listing has some additional photos of the interior if you’ve ever been curious about what it looks like on the inside. UPDATE #1: Some conflicting reports now as to whether or not the building is actually for sale. I’ve got a call into the realtor, will update soon. UPDATE #2: A neighboring business owner says the new theater owner’s plan to sell or rent the building has run into code and permitting snags. At this point, to the best of anyone’s knowledge, the new owner doesn’t want to sell because he’s has now invested a lot of money bringing the building up to code. He instead wants to develop some sort of community center and/or rental hall. Still waiting to hear back. UPDATE #3: The listing agent has confirmed that the property is no longer for sale. A couple of interested buyers had previously contacted the city about a liquor license but there are no more available in Ward 2, so that essentially eliminates any restaurant/bar-type usages unless someone else gives up their license or the city changes the charter. Also, while the back taxes on the property were forgiven as part of the foreclosure sale, the owner must start paying current taxes (around $7,000/year) in May. The Mohawk Theater on Smith Avenue failed to sell at a Ramsey County property auction this morning. Despite a standing-room-only crowd, no one bid at the $340,000 starting price for the property. This means that the theater will remain for sale through Ramsey County, starting Tuesday morning, at $340,000. As I understand it, the price remains firm unless the county decides to re-offer it at a future auction, at which point they’ll re-assess its market value. But for now, the “for sale” signs will stay up, as the future of the historic building remains unclear. Who wants to buy the Mohawk Theater? The next chapter in the long saga of Smith Avenue’s most prominent architectural landmark is about to begin. 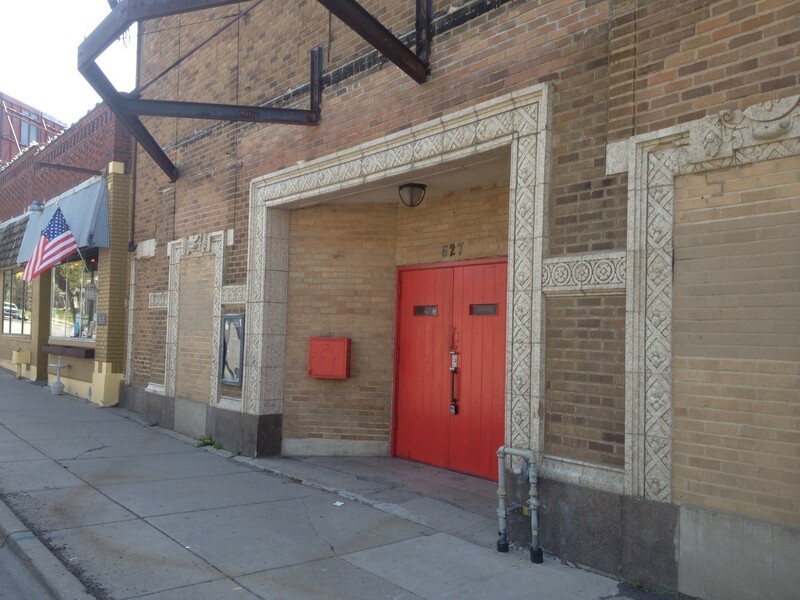 The long-vacant property at 627 Smith Ave. is up for auction on May 23. The theater, which most recently was a rental hall for wedding receptions and other events, was forfeited to Ramsey County last year for back taxes. As noted in an earlier post, the building has long since been remodeled from its original theater layout to a two-story facility. There’s a commercial kitchen on the lower floor and a performance space on the top floor. It’s one of those places that everyone has an idea for, but no one has the capital to buy it. The most recent listing price for the theater was $400,000 (not including the more than $70,000 in back taxes owed at the time). If you’ve never been inside, the county will hold open houses at the theater on Thursday, May 8 from 2-4 and Wednesday, May 14 from 10 a.m.-noon.